Good. Morning. Welcome. To Google i/o it's a beautiful, day I think warmer than last year, hope, you're all enjoying it, thank you for joining us I think, we have over, 7,000, people here today. As. Well as many. Many people via, live streaming this to many locations around the world so. Thank you all for joining us today we have a lot to cover, but. Before we get started you, know I had one important, business which I wanted to get over with towards. The end of last year it came to my attention that we had a major, bug, in one, of our core products, it. Turns out. We. Got the cheese strong, in our burger emoji. Anyway. We went hard, to work I never knew so many people care about where the cheese's. We. Fixed it you know the irony of the whole thing is I'm a vegetarian in the first place. So. We fixed it but. I hopefully, we got the cheese right but as we were working on this this. Came to my attention I. I. Did. I don't even want to tell you the explanation the team gave me as to why the foam is floating about the beer. But. We, restored the natural, laws of physics. So. All as well we can get back to business we. Can talk about all the progress since last year's i/o. I'm. Sure all of you would agree it's been an extraordinary, year on many fronts, I'm, sure you've all felt it we're. At an important, inflection, point in computing, and it's. Exciting, to be driving technology forward and. It's, made us even, more reflective about our responsibilities. Expectations. For, technology, vary greatly depending. On where you are in the world or. What. Opportunities. Are available to, you for. Someone like me who grew up without a phone I can. Distinctly, remember, how. Gaining, access to technology, can make a difference in your lives and. We. See this in the work we do around the world, you. See it when. Someone, gets access, to a smartphone for the first time and. You. Can feel it in a huge demand for digital skills we see. That's. Why we've been so focused on bringing digital, skills to, communities, around the world. So. Far we, have trained over 25, million people and we. Expect that number to rise over 60, million in the, next five years. It's. Clear technology. Can be a positive force. But. It's equally, clear that we, just can't be wide-eyed about, the innovations, technology, creates. There. Are very real and, important. Questions, being. Raised about the, impact, of these advances, and the role they will play in our lives so, we, know the path ahead needs, to be navigated. Carefully. And, deliberately. And we. Feel a deep sense, of responsibility to. Get this right. That's. The spirit with which we are approaching our core mission, to, make information more, useful. Accessible. And beneficial. To society, I've. Always felt that we were fortunate, as a company, to have a timeless, mission, that. Feels as relevant, today as when. We started. And. Very excited, about how we can approach our mission with renewed vigor. Thanks to the progress we seen AI, AI. Is enabling, this to for, us to do this in new ways, solving. Problems for our users around. The world. Last. 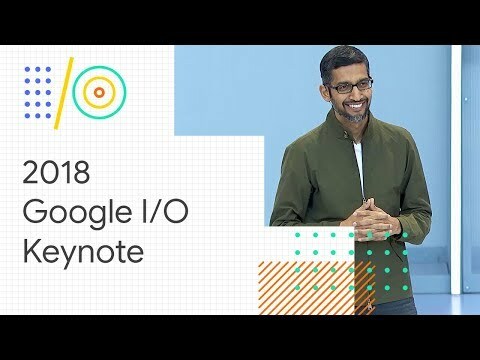 Year at Google i/o we announced Google, ai it's. A collection, of our teams and efforts to, bring the benefits of AI to everyone. And. We. Want this to work globally, so we are opening, AI centers, around the, world, AI, is going to impact many many fields and, I want to give you a couple of examples today. Healthcare, is one of the most important, fields AI is going to transform. Last. Year we, announced her work on diabetic. Retinopathy it's, a leading cause of blindness, and we, use deep learning to help doctors diagnose, it earlier, and we've. Been running field, trials, since, then at, Arvin and sank our hospitals, in India and the field trials are going really well we. Are bringing expert, diagnosis, to places, where trained doctors, are scarce. It. Turned out using, the same retinal, scans, there. Were things which humans, quite didn't know to, look for but. Our AI systems, offered, more in size your. Same Eye scan. Turns, out holes information. With. Which we. Can predict, the. 5-year risk of you having an adverse cardiovascular, event, heart. Attack or strokes, so. To me the interesting thing is that you know more than what doctors could find in these I scans, the machine learning systems offered, newer insights. This. Could be the basis, for a new non-invasive way. To, detect. Cardiovascular. Risk and we, are working we just published the research and we are going to be working to bring this to field trials with our partners. Another. Area where AI can help is, to actually help, doctors, predict, medical, events turns. Our doctors have a lot of difficult, decisions to make and for. Them getting. Advanced. Notice say. 24. To 48 hours before, a, patient. Is likely to get very sick, as. Tremendous, difference in the outcome, and, so. We put a machine learning systems to work we've, been working, with our partners using. De-identified. Medical, records and it. Turns out if you go and analyze over hundred, thousand data points per patient, more, than any single doctor, could analyze we. Can actually. Quantitatively. Predict, the, chance of readmission. 24. To 48 hours before. Earlier. Than traditional, methods, it gives doctors more, time to act, we. Are publishing our paper on this later today and we, are looking forward to partnering with hospitals. And medical institutions. Another. Area where AI can help is, accessibility. You. Know we can make day-to-day. Use cases much easier, for people let's. Take a common. Use case you, know you you, come back home in the night and you turn your TV on it's. Not that uncommon to see two people passionately, two or more people passionately, talking, over each other, imagine. If you are hearing-impaired and you're, relying on closed captioning, to, understand what's going on this is how it looks to you. As. You can see it's, gibberish you can't make sense of what's going on so. We have machine, learning technology, called looking to listen it. Not only looks for audio, cues but. Combines, it with visual cues to clearly. Disambiguate. The two voices let's. See how that can work maybe in YouTube. Okay. You, said it's okay we, have to, talk about we. Have a lot to talk about. But. You can see how we can put technology to work to make an important, day-to-day use case profoundly, better, you. Know the great thing about technology is it's constantly, evolving in fact. We, can even apply machine learning to. A 200. Year old technology, Morse. Code and make, an impact in someone's quality, of life let's, take a look. Hi. I am Tanya. This, is my voice I, use. Morse code buying putting, dots and dashes with, switches, mounted, near my head as a very. Young child I, used a communication. Word board, I used, a head stick to point to the words it, was very attractive, to say the least, once. Morse code was incorporated. Into my life it was a feeling of pure liberation. And freedom. I. Think. Napped is why I like, skydiving, so much it is, the same kind of feeling, through. Skydiving. I met, Ken, the, love of my life and partner-in-crime. It's. Always been very very difficult, just. To find Morris, code devices, to try Morris, code this is why I had to create my own with. The help from Ken, I have a voice and more, independence. In my daily life but. Most people don't have ken. It. Is our hope, that we can collaborate, with the G board team to help people who want to tap into the freedom of using Morse code G. Board is the Google keyboard, what. We have discovered, working, on G or it is that there, are entire, pockets. Of population, in the world and when I say pockets, it's like tens of millions of people who, have never had access to a keyboard that works in their own language, with, tenia we've built, support, in G board for Morse code so it's an input modality, that allows you to type in Morse code and get text, out with, predictions. Suggestions. I think it's a beautiful example of where machine, learning can, really assists, someone. Normal. Keyboard without artificial, intelligence. Wouldn't, be able to I am, very excited to, continue, on this journey many. Many people will benefit, from this, and that thrills me to no end. It's. A very inspiring story we're. Very very excited to have Tanya and can join. Us today. Tania. And Ken are actually developers. They really, worked with her team to, harness the power of actually predictive, suggestions, in, G mode in. G board in the context, of Morse code I'm, really excited that G board with Morse code is available in beta later today. It's. Great to reinvent, products. With AI G. Board is actually a great example of it, every. Single day, we, offer users and users choose over 8 billion order Corrections, each, and every day. Another. Example, of a one of our core products, which. We are redesigning with ai is, Gmail we. Just had a new fresher, look for Gmail a recent, redesign hope. You're all enjoying using. It we, are bringing out of the feature to Gmail, we. Call it smart, compose, so. It's the name suggest we. Use machine, learning to. Start. Suggesting, phrases. For you as you. Type all. You need to do is to hit tab and keep. Order completing. In, this case it understands, the subject is Taco Tuesday, it suggests, chips. Salsa guacamole. It. It takes care of mundane, things like addresses. So. That you don't need to worry about it you can actually focus on what you want to type I've. Been, loving, using it I've been sending a lot more emails to the company not sure what the company thinks of it. But. It's been great we are rolling out smart, composed to all our users this month and hope, you enjoy using it as well. Another. Product, which, we built from the ground up using AI is Google. Photos works. Amazingly. Well and it's. Scales, you. Know if you click on one of these photos, what we call the photo viewer experience where, you're looking at one photo at a time so. That you understand, the scale, every. Single day there, are over five, billion photos viewed, by our users each. And every day so. We want to use the AI to, help in those moments so. We are bringing a new feature called, suggested. Actions. Essentially. Suggesting, smart actions right in context, for you to act on say. For example, you. Went to a wedding and you're, looking through those pictures we, understand, your friend Lisa is in the picture and we, offer to share the three photos with Lisa and with, one click those, photos can be sent to her so. The anxiety where everyone is trying to get the picture on their phone I think, we can make that better, say. For example if the photo in the same wedding if the photos are underexposed. Or AI. Systems, offer a solution to. Fix the brightness, right there one. Tap and we, can fix the brightness for you or. If, you took a picture of a document which you want to save for later we. Can recognize. Convert. The document to PDF and, make. It. Make. It much easier for you to use later you. Know we want to make all these simple, cases delightful. By. The way I can also deliver, unexpected. Moments so. For example if, you have this picture cute picture of your kid we. Can make it better we can drop the background color pop the color. And make the kid even cuter or. If. You happen to have a very special memory something. In black and white maybe. Of your mother and grandmother we. Can recreate, that moment in color and make, that moment even more, real and. Special. All. These, features are going to be rolling out to Google Photos users in the next couple of months the, reason, we are able to do this is. Because for a while we've been investing, in the scale of our computational, architecture. This. Is why last year we talked about our tensor, processing, units these. Are special, purpose machine, learning chips, these. Are driving all the product improvements, you're seeing today and, we've made it available to our cloud customers. Since. The last year we've been hard, at work and today. I'm excited to announce our next generation, TPU. 3.0. These. Chips are so powerful that for the first time we've, had to introduce liquid, cooling, in our data centers, and. We. Put these chips, in the form of giant, pods each of, these parts, is now, 8 X more powerful, than last year's well, over 100 peda flops and this, is what allows us to develop better, models, larger. Models more, accurate, models, and helps. Us tackle, even, bigger problems, and. One. Of the biggest problems we are tackling with the AI is the, Google Assistant our. Vision. For the perfect assistant is that it's naturally. Conversational. It's, there when you need it so, that you can get things done in the real world and we. Are working to make it even better, we. Want the assistant, to be something, that's, shrill and comfortable, to talk to and, to, do that we, need to start with the foundation, of the Google assistant the voice, today. That's how most users, interact, with our system, our, current. Voice is codenamed Holly she. Was a real person, she. Spent months in our studio, and then. We stitched those recordings, together to create voice. But. 18 months ago we, announced a breakthrough from our deep mine team called. Wavenet. Unlike. The current systems, wavenet, actually, models the underlying, raw audio to create a more natural voice. It's. Closer, to how humans speed the. Pitch the, pace even. All the pauses that convey, meaning we, want to get all of that right so. We bought target wavenet and we. Are adding, as of today six. New voices to. The Google assistant, let's, have them say hello. Good. Morning everyone I'm. Your Google assistant. Welcome. To Shoreline Amphitheatre. We. Hope you'll enjoy Google, i/o, back. To you sundar. You, know our goal is one day to get the right accents. Languages, and dialects, right globally. You. Know wavenet can make this much easier with. This technology we started, wondering who. We could get into the studio with an, amazing, voice take. A look. Couscous. A type, of North African semolina, in granules, made from crushed durum, wheat I. Want. A puppy with sweet eyes and a fluffy tail who, likes my haikus, don't. We all. Happy. Birthday. To the, person, whose birthday it, is. Happy. Birthday. To. You. John. Legend. He. Would probably tell you he don't want to brag but. He'll Be the best assistant, you ever had can, you tell me where you live you. Can find me on all kinds of devices phones. Google. Homes and if. I'm lucky in. Your, heart. That's. Right John Legend's voice is coming to the assistant, clearly. He didn't spend all the time in the studio answering, every possible, question that, you could ask but. Wavenet, allowed us to shorten. The studio time and the, model can actually capture, the richness of his voice his. Voice will be coming later this year in certain. Contexts, so. That you can get responses, like this. Right. Now in Mountain View it's sixty five with clear skies today. It's predicted, to be 75, degrees and sunny at, 10 a.m. you have an event called Google, i/o keynote then. At 1:00 p.m. you have margaritas, have. A wonderful, day I'm. Looking, forward to 1 p.m.. So. John's voice is coming later this year really. Excited, we can drive advances. Like this with AI we. Are doing a lot more with, the Google assistant, and to, talk to you a little bit more about it let me invite Scott onto the stage. Call. Maddie okay, dialing, now hey, Google booked a table for four sounds. Good hey Google call my brother hey Google call my brother. Can. You text Carol for me too hey. Kevin. That was great we haven't made you Google work yet so you have to say hey hey. Google hey, Google, Play Sophia. Hey. Google Play the next episode, way to crown on Netflix, all Channing, Tatum movie. Ok. No, Google that. Was great um, Chris get one where you say hey. Google. Google. Find my phone binding, now. Whoa, hey, Google. No. Google lock the front door okay. Let's just go with your Google then I'm sure the engineers, would love to update everything. Yo. Hi. What, can I do for you. Two. Years ago we. Announced the Google assistant, right here at i/o today. The. Assistant is available on over 500, million. Devices including. Phones speakers. Headphones. TVs. Watches. And more it's. Available in cars from more than 40 auto brands, and, it. Works with over, 5,000. Connected, home devices, from. Dishwashers. To doorbells and, people, around the world are using it every single day for, example we, launched the assistant, in India last year and the, response, has been incredible. Daily. Usage there has tripled, since the, beginning of the year now. By the end of this year the assistant will support 30, languages, and be available in 80 countries. So. We've made great progress but. We're just getting, started today. We're. Going to share with you some important, ways that the assistant, is becoming more naturally, conversational. And visually. Assistive, in order, to help you do more and get, fine back, now. As you heard from sundar, new voices that you can choose from to make the Google assistant, your own are an, important, aspect of making, the conversation with, your assistant, more natural but. To be a great conversation, partner the assistant, needs to deeply, understand, the social. Dynamics, of conversation. For. Example let's, be honest it, gets a little annoying, to say hey, Google every. Time I want to get my assistants, attention, this. Grandma, who you might have seen on YouTube was definitely, feeling that way. Do. You wanna know what is a way though to, model. In. Flagler. Beach tomorrow, there will be showers for the high of 65, and a low of 56. Well. The assistant eventually. Worked for her but, it shouldn't be so hard now. You won't have to say hey Google every. Time check. This out, hey, Google did the Warriors win. Yes. The Warriors won 118. To 92, last Sunday against the pelicans nice. When's. Their next game. The. Warriors next, game is today at 7:30, p.m. where they will be playing the pelicans, great. It's Gonna be fun to watch tonight he remind me to find my Kevin Durant Jersey when I get home, sure. I'll remind you when you get home. They'll. Notice that I was able to have a natural, back-and-forth, conversation with, my assistant, without, having to repeat hey Google for, every follow up request even. More helpful my, assistant, could understand, when, I was talking to it first, is when I was talking to all of you we. Call this continued. Conversation. And it's, been a top feature request you'll. Be able to turn it on in the coming weeks. Yeah. All. Right. So, let's say it's almost game time hey. Google turn, on the Warriors game and start the popcorn maker sure. Here's the Golden State Warriors game, on YouTube TV and turning the popcorn maker on oh and. Can you dim the lights in the family room and in the kitchen, sure. Dimming, the lights in the family room and in the kitchen now. You'll notice that in both of these examples I, asked for multiple, things at once something. That feels really natural for us but. It's very difficult, for computers to understand. It's. Something we call multiple actions, and we're, rolling out this capability, and the assistant, now now. You might think come on it's, easy just look for the end. But. It's. Not always so straightforward in, this. Example, even. Though it has the word and it's not two requests, it's actually, just one but. Here. Even. Though it looks very similar the assistant has to break it apart to. Form the two requests, in linguistics. It's called coordination, reduction. Now. Multiple actions can get way more complicated so, just for fun hey. Google who. Was the Governor of California when, Kevin, Durant was drafted, and what, team drafted him. Arnold. Schwarzenegger, was the governor in 2007. Kevin, Durant was drafted by the Seattle SuperSonics. Alright. Just in case you were wondering. Alright. So. Next. We've. Also been working on improving the conversation. With the Google assistant, for families, last. Fall we. Launched our family, experience, for the Google assistant it provides family, friendly games activities and. Stories, we've. Continued to grow our library, and families. Have listened to over a hundred and thirty thousand. Hours of children's stories in the last two months alone, now. As we continue to improve the experience, for families a concern. That we've heard from many parents, including. People on the team who have children is our. Kids, learning to be bossy, and demanding when. They can just say hey Google to, ask for anything they need, it's. Not a simple area but, one step that we've been working on is something we call pretty please some. Of the parents on the team have been testing it out with their families, take, a look, hey. Google Talk to voice. Thanks. For saying please please. What, a nice way to ask me. Thanks. For asking so nicely, once. Upon a time there was a wacky walrus, please, help. You're, very polite. So. The assistant understands. And responds. To positive, conversation. With polite reinforcements, now. We've been consulting with families and child development experts, and we plan to offer pretty please as an option for families later this year, so. With. New voices for your assistant, continued. Conversation. Multiple. Actions, and pretty, please, a is, helping us make big strides so, everyone, can have a more natural conversation. With their assistant and now. I'd like to introduce Lillian, who's, going to share some exciting things that are doing bringing, voice and visual, assistance together. Well, thanks Scott and good morning everyone. Over. The last couple of years the assistant, has been focused, on the verbal conversation, that you can have with Google today. We're, going to unveil a new visual, canvas for the Google assistant across screens this, will bring the simplicity of voice together. With a rich visual experience, now, I'm going to invite Maggie to come up because we're going to be switching to a lot of live demos. We. Gave you an early look at our new smart displays at CES in January we're. Working with some of the best consumer electronic, brands and today, I'm excited to announce that the first smart displays, will, go on sale in July. Today. I'll show you some, of the ways that this new device can make your day easier by, bringing the simplicity of voice with a glance ability, of a touchscreen. So. Let's switch over to the live demos now, this is one of the Lenovo, smart, displays the. Ambient, screen integrates, with Google photos and, greets me with pictures of my kids Bella and Hudson those are really my kids and best. Way to start my day every morning now. Because the device is controlled by voice I can, watch videos or live TV with just a simple command this, makes it so easy to enjoy my favorite shows while multitasking around, the house, hey. Google let's. Watch Jimmy Kimmel Live. Okay. Playing Jimmy Kimmel Live on YouTube TV. Here's. Something from my life I was driving my daughter to school this morning. So. That's right on YouTube TV you will be able to watch all. Of these amazing, shows from local news live, sports and much more and they will be available on smart displays. Now. Of course you can also enjoy all the normal content, from YouTube including, how-to videos, music, and original shows, like the brand new series Cobra, Kai which. We started binge watching this week because it's so good, now. Cooking, is another instance where the blend of voice and visuals is incredibly, useful Nick. And I are always looking for simple, family-friendly, recipes. Hey. Google show. Me recipes for Pizza bombs. Sure. Here are some recipes so, we can choose the first one from tasty that one looks good you, see all the recipe details come right up and we can just tap to start cooking, sure. Here's tasty. So. Seeing a video demonstration, along with the spoken instructions is a total GameChanger for cooking especially, when you have your hands full thanks. Maggie. So, we showed you a couple of ways that smartest, place can make life at home easier but, there are so many more from. Staying in touch with family with broadcast, and do a video calling to, keeping an eye on your home with all of our other smart, home partners to. Seeing in advance what the morning commutes like with Google Maps, we're, thoughtfully, integrating, the best of Google and working with developers, and partners all around the world to, bring voice and visuals together in a completely, new way for the home. Now. Inspired. By the smart display, experiences. We've also been working to reimagine, the assistant, experience, on the screen that's with us all the time, our. Mobile phones so. I'm gonna give you a sneak peek into how the assistant, on the phone is becoming more immersive, interactive. And, proactive. So we're gonna switch to another live demo. Hey. Google tell me about camila cabello. According. To wikipedia karla camila cabello esther, bow is a american singer and songwriter, so. As you can see we're taking full advantage of, the screen to give you a rich and immersive response. Here's, another. Turn. Down the heat. Sure. Cooling the living room down and for. A smart home request what you can see here is we're bringing the controls right into your fingertips, and here's. One of my favorites. Hey. Google order my usual from Starbucks. Hello. Welcome back to Starbucks, that's one tall nonfat latte. With caramel drizzle, anything. Else So. No thanks, and are. You picking that up at the usual place so, I'm gonna tap yes. Okay. Your orders in see. You soon. So. We're excited to share that we were working with Starbucks Dunkin, Donuts, store - Domino's and many other partners on a new food pickup and delivery experience, for the Google assistant we, have already started rolling some of these out with many more partners coming soon. Now. Rich and interactive responses. To my requests, are really helpful but, my ideal assistant, should also be able to help in a proactive way so. When I'm in the assistant, now and. Swipe. Up I now. Get a visual, snapshot of my day, I see. Helpful suggestions, based on the time my, location and even my recent interactions, with the assistant, I. Also. Have my reminders. Packages. And even. Note some lists organized, and accessible right, here I love. The convenience of having all these details helpfully, curated, and so easy to get to, now. This new visual. Experience, for the phone is thoughtfully, designed with AI at the core it will launch on Android, this summer an iOS, later this year. Now. Sometimes, the assistant can actually be more helpful by having a lower visual profile, so, like when you're in the car let's say you should stay focused on driving so. Let's say I'm heading home from work I have Google Maps showing, me the fastest, route during rush hour traffic hey. Google said Nick my ETA and place some hip-hop. Okay. Letting Nick know you're 20 minutes away and check out this hip-hop music, station on YouTube. So. It's so convenient to share my ETA with my husband with just a simple voice command, I'm, excited, to share that the assistant, will come to navigation and Google Maps this, summer. So. Across smart displays, phones, and in maps, this gives you a sense of how we're making the google assistant, more visually, assistive, sensing. When to respond with voice and, went to show a more immersive and interactive experience. And with. That I'll turn it back to sundar thank you. Thanks. Lillian it's great to see the progress with that system. As. I said earlier our vision, for our system is to help you get things done it. Turns, out a big. Part of getting things done it's, making a phone call you. May want to get an oil change schedule, maybe. Call a plumber in the middle of the week or. Even schedule a haircut appointment. You. Know we are working hard to help users through those moments we. Want to connect users, to businesses, in, a, good way. Businesses. Actually rely a lot on this but even, in the u.s., sixty. Percent of small businesses don't. Have an online booking, system Sarah. We. Think hey I can, help with this problem. So. Let's go back to this example let's. Say you want to ask Google, to. Make you a haircut appointment on, Tuesday, between 10:00 and noon, what. Happens, is the. Google, assistant, makes the call seamlessly. In the background for. You so. What you're going to hear is the. Google assistant, actually calling, a real salon to. Schedule the appointment for you let's. Listen. What. Time are you looking for well at. 12, p.m. we. Do not have a quality available. But closest, we have to that is a 1:15. Do. You have anything between 10 a.m. and, 12. P.m.. Depending. On what service, she, would like what service is she looking for, just. A woman's haircut for now okay. We have a 10 o'clock. 10:00. A.m. is fine okay. What's her first name, the. First name is Lisa, I'll. Play perfect, so I will see Lisa at 10 o'clock on May 3rd, ok. Great have a great day bye. That. Was a real call you just turned the. Amazing, thing is the assistant can actually, understand, the nuances, of conversation. We've. Been working, on this technology for. Many years it's. Called Google duplex, it. Brings, together all our investments over, the years and natural language understanding, deep. Learning, text-to-speech. By. The way when we are done the assistant can give you a confirmation notification, saying, your appointment, has been taken care of, let. Me give you another example, let's. Say you want to call a restaurant but maybe it's a small restaurant, which is not easily available to book online. The. Call actually goes a bit differently, than expected, so, take, a listen. It's. For four people. Actually. Like. A five people, four, people before you can come. How. Long is the way usually to, be, seated. For. Next Wednesday, seven. Oh no. It's not too easy. Okay. Oh I. Got, you, Thanks. A game, that was real call we have many of these examples, where, the calls quite, don't go as expected, but. The assistant understands. The context, the nuance it knew to ask for wait times in this case and handle, the interaction, gracefully. But. We're still developing this technology and, we, actually want to work hard to get this right get the user experience, and the expectation. Right for both businesses, and users. But. Done correctly, it will, save time for people and generate. A lot of value for businesses, we, really wanted to work in cases safe here a busy pattern in the morning and your kid is sick and you want to call for a doctor's appointment so, we're. Gonna work hard to get this right there. Is a more straightforward case, where, we can roll this out sooner, where, for example every, single day we get a lot of queries into Google where, people are wondering on the opening and closing hours, of businesses, but it, gets tricky, during holidays, and businesses. Get a lot of calls so. We as Google can make just that one phone call and, then. Update the information for. Millions of users and. It'll save a small, business. Countless. Number of calls so, we're gonna get moments like this right and make, the experience better for users this. Is going to be rolling out as an experiment, in the, coming weeks and so stay tuned. In. A common, theme across all, this is we, are working hard, to give users back time, we've. Always been, obsessed about that at Google search. Is, Obsessed. About getting users to answers, quickly and giving. Them what they want, which. Brings me to another area. Digital. Wellbeing now. Based on our research, we. Know that people feel tethered. To their devices, sure. It resonates, with all of you there. Is increasing, social, pressure to respond. To anything you get right away, people. Are anxious to stay to stay up-to-date with, all the information. Out there they. Have FOMO. Fear, of missing out. We. Wanted we, think there's a chance for us to do better we've been talking to people and some, people introduced, to us the concept of Tomo, the actual, joy of missing out so. So. We think we can really help users with digital. Well-being, this. Is going to be a deep ongoing, effort, across. All our products, and platforms and we need all your help. We. Think we can help users with, their digital well-being in four ways, we. Want to help you understand. Your habits, focus. On what matters. Switch. Off when you need to and. Above all find balance with your family so. Let me give a couple of examples. You're. Gonna hear about this from Android a bit later in their upcoming release, but. One of my favorite, features is dashboard, in. Android. We actually, give you going to give you full visibility into how you're spending your time the. Apps where you're spending your time the. Number of times you unlock your phone on a given day the. Number of notifications you got and, we're gonna really help you deal with this better, you. Know apps, can also help, YouTube. Is going to take the lead and if, you choose to do so it'll. Actually remind. You to take a break it's. A for example if you've been watching YouTube for a while maybe. It'll show up and say hey it's time to take a break. YouTube. Is also going to work to combine, if users, want to, combined, all the notifications, in. The, form of a daily digest so. That if you have for notification, it comes to you once during the day YouTube. Is going to roll out all these, features this. Week. You. Know we've been doing, a lot of work in this area family. Link is a great example where. We provide, parents, tools, to. Help manage kids, screen time I think, this is an important, part of it we. Want to do more here we, want to equip kids to make smart, decisions, so. We, have a new approach a Google design approach, it's called be internet awesome to. Help kids become, safe explorers, of the, digital world we. Want kids to be secure, kind, mindful. And online and we, are pledging to train an additional. 5 million kids this coming year all. These, tools you're seeing is launching. With our digital well-being, site later. Today. Another. Area where, we feel tremendous, responsibility. Is, news. News. Is core to our mission. Also. Times, like this it's more important, than ever to support. Quality. Journalism it's. Foundational, to how democracies, work, I've. Always been fond of news, growing. Up in India I have distinct memory, of I used to wait for the physical newspaper turns. Out my grandfather my grandfather used to stay right next to us there. Was a clear hierarchy, he. Got his hands on the newspaper first then. My dad and then, my brother and I would go at it you know I was. Mainly interested in the sports section at that time but, over time I developed a fondness for news and it stayed with me even till today, it. Is challenging, time for the news industry. Recently. We launched Google, News initiative, and we. Committed, 300. Million Dollars over the next three years we want. To work with organizations and. Journalists, to help, develop innovative, products, and programs that. Help the industry. We've. Also had a product, here for a long time Google, News it. Was actually built right after 9/11, it, was a 20%. Project by one of our engineers, who, wanted to see news, from a variety of sources to. Better understand, what happened. Since. Then if anything the, volume, and diversity, of content, has only grown I. Think. There is more great, journalism, being produced today than. Ever before. It's. Also true that people turned to Google in times of need and we, have a responsibility. To provide that information. This. Is why we have reimagined. Our news product we. Are using AI to, bring forward the, best of what journalism, has to offer we. Want to give users quality. Sources, that they trust but. We want to build a product that works for publishers. Above. All we want to make sure we. Are giving them deeper, insight and a. Full of perspective, about any, topic, they are interested, in I'm. Really excited to announce the new Google News and here's, Tristan, to tell you more. Thank. You sundar. With. The new Google News we set out to help you do three, things first. Keep, up with the news you care about second. Understand. The full story and finally. Enjoy and, support the sources you love after. All without news publishers, and the quality journalism that they produce we'd. Have nothing to show you here today. So. Let's start with how make it easy for you to keep up with the news you care about as soon. As I open Google News right, at the top I get. A briefing, with the top five stories I need to know right now as, I. Move past my briefing, there are more story selected, just, for me, our. A I constantly. Reads, the firehose of the web for you the millions of articles videos, podcasts. And, comments, being, published every, minute and assembles. The key things you need to know. Google. News also pulls in local voices and news about events in my area it's this, kind of information that makes me feel connected to my community. This. Article from The Chronicle, makes me wonder how long it would take to ride across this new Bay Bridge. What's. Cool is I didn't have to tell the app that I follow politics, love, to bike or want information about the Bay Area it works right out of the box and, because. We've applied techniques, like reinforcement, learning throughout the app the, more I use it the better it gets and at. Any point I can jump in and say whether I want to see less or more or of a given publisher, or topic, and. Whenever. I want to see what the rest of the world is reading I can switch over to headlines to see the top stories that are generating the most coverage, right, now around the world, so. Let's keep going. You. Can see there are lots of big, gorgeous images, that make this apps super, engaging and a. Truly Great video experience, let's. Take a look. This. Brings you all the latest videos from YouTube, and around the wind. All. Of our design choices focus, on keeping the app light easy, fast. And fun, our. Guiding principle, is to let the story speak for themselves so. It's pretty cool right. What. We're seeing here throughout the app is the new Google material. Theme the. Entire app is built using material, design our adaptable. Unified, design system, that's been uniquely tailored by, Google. Later. Today you'll hear more about this and how you can use material, themes in your products. We're. Also excited to introduce a new visual format we call newscasts. You. Are not going to see these in any other news app. Newscasts. Are kind of like a preview of the story and they make it easier if you get a feel for what's going on, check. Out this one on the Star Wars movie. Here. We're using the latest developments, in natural, language understanding, to bring together everything. From. The solo movie trailer - news articles, to quotes and from, the cast and more in a, fresh presentation. That looks absolutely great. On your phone. Newscast. Give me an easy way to get the basics and decide, where I want to dive in more deeply, and. Sometimes. I even discover, things I never would have found out otherwise. For. The stories I care about most or the ones that are really complex I want to be able to jump in and see many different perspectives so. Let's, talk about our second, goal for Google News understanding. The full story. Today. It takes a lot of work to broaden your point of view and understand, a news story in depth with. Google News we set out to make that effortless. Full. Coverage is an, invitation to learn more. It. Gives a complete picture of a story in terms, of how it's being reported from a variety of sources and in, a variety of formats. We. Assemble, full coverage using a technique we call temporal. Col Ocala tea this. Technique enables, us to map relationships, between entities, and understand, the people places, and things in, a story right as it evolves. We. Apply this to the deluge of information publish, to the web at any given moment and then organize it around storylines. All in, real time this. Is by far the most powerful feature of the app and provides. A whole new way to dig into the news. Take. A look at how full coverage works with the recent power outage in Puerto Rico. There. Are so many questions I had about this story like how. Did we get here could, it have been prevented and are, things actually getting better. We. Built full coverage to help make sense of it all all in, one place. We. Start out with the set of top headlines, that tell me what happened and then, start to organize around the key story aspects, using our real-time event understanding. For. News events that have played out like this one over weeks and months you. Can you can understand the origin of developments, by. Looking, at our timeline of the key moments and, while. The recovery has begun we can clearly see there's still a long way to go. There. Are also certain questions, we're all asking about a story and we pull those out so you don't have to hunt for the answers. We. Know context, and perspective come, from many places so, we show you tweets from relevant voices and. Opinions. Analysis. And fact. Checks to. Help you understand, the story that one level deeper. In. Each case our AI is highlighting, why this is an important piece of information and, what unique value it brings. Now. When I use full coverage I find that I can build a huge amount of knowledge on the topics I care about it's. A true, 360-degree. View that goes well beyond what I get from just scanning a few headlines. On. Top of this our research, shows that having a productive conversation or, debate, requires, everyone. To have access to the same information. Which. Is why everyone. Sees the same content, in full coverage for a topic, it's, an unfiltered, view of events from a range of trusted, news sources. Thank. You. So. I got to say I love, these new features and these are just a few of the things we think make the new Google News so exciting. But. As we mentioned before none. Of this would exist without the great journalism, new zooms produce every, day. Which. Brings us to our final goal helping you enjoy and support the new sources you love. We've. Put publishers, front and center throughout the app and here, in the newsstand section, it's easy to find and follow the sources I already love and, browse. And Discover new ones, including. Over 1,000, magazine, titles, like Wired National, Geographic and, people, which all look great on my phone I, can. Follow publications. Like, USA, Today by directly tapping, the star icon and, if. There's a publication, I want to subscribe to say, The Washington Post, we, make it dead simple no. More forms, credit, card numbers or new passwords. Because. You're signed in with your Google account you're. Set. When. You subscribe to a publisher, we, think you should have easy access to your content, everywhere, and this. Is why we, developed subscribe. With Google. Subscribe. With Google enables you to use your Google account to access your paid content everywhere. Across. All platforms and, devices on, Google, search Google News and publishers owned sites. We. Built this in collaboration with over 60 publishers, around the world and it will be rolling out in the coming weeks. Thank. You and this is one of the many steps we're taking to make it easier to access dependable. High-quality information when and where it matters, most so. That's. The new Google News it helps, you keep, up with the news you care about with your briefing and newscasts. Understand. The full story using, full coverage and enjoy. And support the new sources you love by reading following, and subscribing. And. Now. For the best news of all we're, rolling out on Android, iOS and the web in a hundred and twenty seven countries starting. Today, I. Think. So too pretty. Cool. It. Will be available to everyone next week at. Google. We know that getting accurate, and timely information into. People's hands and building. And supporting high-quality, journalism, is more. Important, than it ever has been right now and we. Are totally, committed to doing our part, we. Can't wait to continue on this journey with you and now. I'm excited to introduce Dave, to tell you more about what's going on in Android. Android. Started. With a simple, goal of bringing open, standards, to the mobile industry today. It, is the most popular, mobile operating system, in the world. If. You believe in openness, if. You believe in choice, if. You believe in innovation from everyone, then. Welcome to Android. Hi. Everyone it's great to be here at Google i/o. 2018. I think. That. Was ten years ago when we launched, the first Android, phone the t-mobile g1 it. Was with a simple but bold idea, to. Build a mobile platform that, was free and open to everyone and. Today, that idea is thriving, our, partners, have launched tens of thousands, of smartphones used, by billions, of people all, around the world and through. This journey we've seen Android, become more than just a smartphone. Operating, system, powering, new categories, of computing, including, wearables, TV, Auto ARV, our IOT. And the. Growth of Android over the last 10 years has, helped fuel the shift in computing, from, desktop, to mobile and. As Souter mentioned the world is now the precipice. Of another shift ai. Is gonna profoundly. Change, industries, like healthcare and transport. And is already starting to change ours. And this. Brings meets the new version, of Android we're working on Android. P Android. B is an important, first step towards, his vision of AI at, the core of the operating system. In fact. AI, underpins, the first of three themes in this release which, are, intelligence. Simplicity. And digital. Well-being, so. Starting with intelligence. We. Believe smartphones should be smarter, they, should learn from you and they should adopt you, technologies. Such as on device machine, learning, can learn your usage patterns, and automatically. Anticipate, your next actions saving, you time and, because. It runs on device the, data is kept private to your phone, so. Let's take a look at some examples of how, we're applying these technologies, to Android to build a smarter operating, system, in. Pretty much every survey, of smartphone, users you'll see battery life as the top concern, and I. Don't know about you but this is my version of, Maslow's hierarchy of, needs. And. We've All been there you know your batteries being okay but then you have one of those outlier, days where it's draining faster, than normal, leave you to run to the charger, what. Android P we partnered with deepmind to, work, on a new feature we call adaptive, battery. It's. Designed, to give you a more consistent, battery, experience. Adaptive. Battery uses, on device machine learning, to figure out which, apps you'll use in the next few hours and, which, you won't use until later if at all today, and then. With this understanding the. Operating, system adapts to your usage patterns so. That it spends battery only on the absent services, that you care about and the, results are really promising we're, seeing a 30%. Reduction in, CPU wake-ups, for apps in general and this, combined with other performance. Improvements, including, running background processes. On the small, CPU cores is resulting. In an increase in battery for many users it's. Pretty cool. Another. Example of how the, OS is adapting, to the user is auto brightness now, most. Modern smartphones, will automatically, adjust the brightness given. The current lighting conditions, but. It's a one-size-fits-all. They don't take into account your personal preferences, and environment. So, often, what happens is you then need to manually adjust the brightness slider resulting. The screen later becoming too bright or too dim. What, Android P we're. Introducing, a new on, device machine learning feature we call adaptive. Brightness. Adaptive. Brightness learns, how you like to set the brightness slider given, the ambient lighting and then does it for you in a power efficient, way so you literally see the brightness slider move, as the phone adapts to your preferences. And it's, extremely, effective in fact, we're seeing almost half of our test users now make fewer manual, brightness adjustments, compared, to any previous version of Android. We're. Also making the UI more intelligent, last, year we introduced, the concept, of predicted, apps a feature, that places, the next apps the OS anticipates, you need on the path you'd normally follow, to, launch that app and it's. Very effective when an almost 60% prediction. Rate, would android p we're, going to beyond simply predicting, the next act to launch to, predicting, the next action you want to take we. Call this feature after actions. So. Let's take a look at how it works at. The top of the launcher you can see two actions one, to call my sister Fiona, and another, to start a workout on Strava for my evening run so. What's, happening here is that the actions, are being predicted, based on my usage, patterns, the, phone is adapting, to me and trying to help me get to my next task more, quickly, as. Another example if I connect my headphones, Android. Will surface in action to resume the album I was listening to to. Support app actions, developers. Just need to add an actions an XML file to their app and then. Action surface not just in the launcher, but, in smart text selection the Play Store Google search and the, assistant, take. Google search we're. Experimenting, with, different ways to surface, actions, for apps you've installed and use a lot for example I'm a big fan tango user so, when I search for the New Avengers movie, infinity, war I get, in addition, to regular suggestions. I get an action, to the Fandango, app to buy tickets, pretty, cool. Actions. Are a simple, but powerful idea, for, providing deep links, into the app given, your contacts, but. Even, more powerful, is bringing part of the app UI to the user right there, and that we, call this feature slices. Slices. Are, a new API for, developers to. Define interactive. Snippets of the wrap UI that. Can be surfaced, in different places in the OS, in. Android Pete were laying the groundwork, by showing slices, first in search so. Let's take a look let's, say I'm out, and about and I need to get a ride to, work if, I type lift into the Google Search app I now, see a slice from the lift app installed on my phone lyft. Is using the slice api's, rich, array of UI templates. To Render a slice of their app in the context of search and then, lift is able to give me the price for my trip to work and the slice is interactive, so I can order the ride directly from it pretty, nice, the. Slice templates, of versatile, so, developers can offer everything from playing a video to say, checking, into a hotel is, another. Example if I search for Hawaii. I'll see you slice from Google photos with my vacation pictures and, we're, working with some amazing partners on app actions, and slices, and we'll be opening an early access program to developers, more broadly next, month so, we're excited to see how actions, and in particular slices. Will, enable, a dynamic, two-way experience, where, the apps UI can intelligently show. Up in context. So. That's. Some of the ways that we're making Android, more intelligent, by teaching, the operating, system, to adapt to the user, machine. Learning is a powerful, tool but it can also be intimidating. And costly, for developers, to learn and apply and. We. Want to make these tools accessible, and easy to use to those who have little or no expertise, in machine, learning so, today I'm really, excited to announce ml. Kit and you, said of API is available through, firebase. With. Ml kit you. Get on device api's to, text, recognition face. Detection image, labeling, and a lot more and, ml. 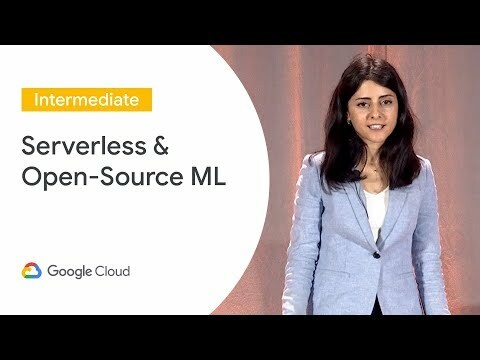 Kit also supports, the ability to tap into Google's, cloud-based ml, technologies. Architectural. E you can think of ml kit as providing, ready to use models built, on tensorflow light and optimized. For mobile and best, of all ml. Kit is cross-platform, so. It runs on both Android, and iOS. We're. Working with an early set of partners. On ml kit and so with some really great results for. Example the popular calorie counting, app lose it is using our text recognition model to scale nutritional, information and, ml. Kits custom, model api's to automatically, classify, 200, different foods through, the camera you'll, hear about more about ml kit at the developer keynote later today. So. We're. Excited about making your smart phone more intelligent, but it's, also important, to us that the technology. Fades, to the back when. One of our key goals over, the last few years has, been to evolve androids UI, to, be simpler, and more approachable vote, for the current set of users and the next billion Android users, would. Android P we, put a special, simple emphasis, on simplicity by. Addressing many pain points where we thought and you, told us the, experience was more complicated, in an altered being and you'll, find these improvements, on any device, that adopts, Google's version, of the Android UI such, as Google pixel and Android. One devices. So. Let, me walk you through a, few live demos, on my phone what. Could possibly go wrong and for the 7,000, people in an amphitheater okay. As. Part of Android P we're, introducing, a new system navigation that, we've been working on for more than a year now and the, new design makes androids, multitasking, more approachable and easier. To understand, and the first striking thing you'll notice is the, single, clean home, button and the, design recognizes, a trend towards smaller screen bezels, and places, an emphasis on, gestures, over, multiple buttons at the edge of the screen so, when I swipe up I'm immediately. Brought to the overview where I can resume apps I've recently used I also, get five predicted, apps at the bottom of the screen to, save me time now. If, I'd continued to swipe off or I swipe up a second time I get to all apps so. Architectural. II what we've done is combine the all apps and overview, spaces, into, one and, the. Swipe of gesture works from, anywhere no matter what app I'm in so, that I can quickly get back to all apps an overview, without, losing the context. And. If. You prefer you, could also use the quick scrub gesture, by sliding the home button sideways, to, scroll through your recent set of apps like so. Now. One of the nice things about the larger horizontal overview. Is that the app content, is not glanceable, so you can easily refer back to information, in a previous app even. More is we've extended, smart, text selection to work in overview. So for example if I tap anywhere on the phrase The Killers all of the phrase will be selected, for me then I get an action to listen to it on Spotify like, so and, we've. Extended smart, text selections, neural network to recognize more entities like, sports. Teams and music artists, and, flight codes and more I've, been using this new navigation, system for the last month and I absolutely love, it it's a much faster more powerful way to multitask, on the go so. Changing. Our navigation, works it's a pretty big deal but sometimes. Small, changes, can make a big difference too so, take volume control and, we've. All been there you try to turn down the volume before, a video starts, but, instead you turn down the ringer volume and, then the video blasts everyone around you, so. How are we fixing it well you, can see the new simplified volume, controls here they're, vertical, and located, you saw the hardware, buttons so they're intuitive but. The key difference is, that the slider now adjusts, the media volume by default, because that's the thing you want to change most often and for, the ringer volume all, you really care about is on silent, and off, like so okay. We've. Also greatly simplified, rotation. And if you're like me and hate your device rotating, at the wrong time you'll love this feature so right now I'm in the locked rotation, mode and. Let me launch an app and you'll. Notice that when I rotate the device a new rotation button appears on the nav bar and then I can just tap on it and rotate, under, my own control, we go. All. Right so that's a quick tour of some of the ways that we've simplified user. Experience, in android PE and there's, lots more everything. From a redesign work profile, to, better screenshots, to, improve notifications. Management, and more. Speaking. Of notifications, management, we want to give you more control, over demands, on your attention, and this, highlights a concept that sundar, alluded to earlier making. It easier to move between your digital life and your, real life to. Learn more about this important, area and our third theme let, me hand over to Sameer thanks. Hi. Everyone. On. A recent. Family vacation, my partner asked if she could see my phone right after we got to our hotel room she, took it from me walked, over to the hotel safe, locked. It inside and. Turned and looked me right in the eye and said you. Get this back in, seven days when, we leave. Whoa. I was. Shocked I was, kind. Of angry but. After. A few hours something. Pretty, cool happened, without. All the distractions from my phone I was, actually able to disconnect be. Fully, present and I, ended up having a wonderful, family, vacation, but. It's not just me our, team has heard so, many stories from people who are trying to find the right balance with technology, as you. Heard from sundar. Helping. People with their digital wellbeing is more, important, to us than ever people. Tell us a lot of the time they spend on their phone is really useful, but, some of it they wish they'd spent on other things in fact. We, found over 70%, of people want, more help striking, this balance so. We've been working hard to add key capabilities. Right into Android to, help people find the balance with technology, that they're looking for. One. Of the first things we focused on was, helping you understand, your habits. Android. Pee will show you a dashboard of how you're spending time on your device as you. Saw earlier you can see how many how much time you spent in apps how, many times you've unlocked your device today and how, many notifications you've, received and you, can drill down on any of these things for. Example here's, my Gmail data from Saturday and when. I saw this it did make me wonder whether I should have been on my email all weekend but, that's kind, of the point of the dashboard now. When. You're engaging is one, part of understanding, but, what you're engaging with in apps is equally. Important, it's. Like watching TV, catching. Up on your favorite shows at the end of a long day can feel pretty, good but. Watching an infomercial might, leave you wondering why you didn't do something else instead. Many. Developers, call this concept, meaningful. Engagement and we've been working closely with many of our developer partners who, share the goal of helping, people use technology in healthy, ways so. In Android P developers. Can link to more detailed, breakdowns, of how you're spending time in their app from this new dashboard, for. Example YouTube. Will be adding a deep link where you can see total watch time across, mobile, and desktop, and, access. Many Of the helpful tools that, shouldn't sundar shared, earlier, now. Understanding. Is a good start but. Android P also gives you controls, to. Help you manage how, and when, you spend time on your phone maybe. You have an app that you love but. You're spending more time in it than you realized, Android. Piet lets, you set time limits on apps and will, nudge you when you're close to your limit that it's time to do something, else and for. The rest of the day that app icon, is greyed out to, remind you of your goal. People. Have also told us they struggle, to be fully present for, the dinner that they're at or, the meeting that they're attending because, the notifications. They get on their device can be distracting. And too. Tempting, to resist and come, on we've, all been there so. We're, making improvements to do not disturb mode to, silence, not just the phone calls and texts but, also the, visual interruptions, that pop up on your screen, to. Make do not disturb even easier to use we've, created a new gesture that, we've affectionately, codenamed, shush. If. You turn your phone over on the table it automatically. Enters do not disturb so you can focus on being present, no, pings, vibrations. Or other distractions. Of. Course in. An emergency, we all want to make sure we're still reachable by the key people in our lives like your partner or your child's school Android. P will help you set up a list of contacts, that can always get through to you with a phone call even, if Do Not Disturb is turned on. Finally. We, heard from people that they often check their phone right before going to bed and before. You know it an hour two has slipped by and honestly. This happens to me at least once, a week getting. A good night's sleep is critical, and technology. Should help you with this not, prevent, it from happening, so. We created, windown. Mode, you. Can tell the Google assistant, what time you aim to go to bed and. When that time arrives it, will switch on do not disturb and fade. The screen to grayscale, which is far less stimulating, for the brain and can, help you set the phone down it's. Such a simple, idea but, I found it's amazing, how quickly I put my phone away when all my apps go back to the days before color TV. How can there be zero comments on this Video? What about siri and what apple is doing mean while ? 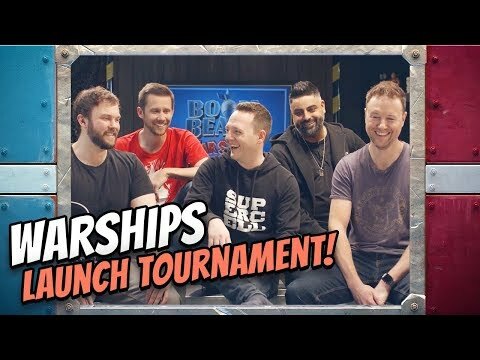 1:06:22, "we've been working on for more than a year now." Apart from the obvious lie and half-baked attempt to copy Apple... Android Pie has the worst navigation gestures. Apple, Xiaomi, One Plus, etc did FAR BETTER JOB at gestures in FAR LESS time. One of idol ...sundar sir..
Google is just trying to create something that will pass the Turing test and trying to monotize the entire process. great achievement in this age..proud to have you from India. Ladies and Gentlemen. Behold the future, Behold Google! What an amazing big screen. Keen to know the tech specs on that. Remember when Google hasn't even existed? This guy has all our info.. Google ..
North Korea Area here, isn't it ?